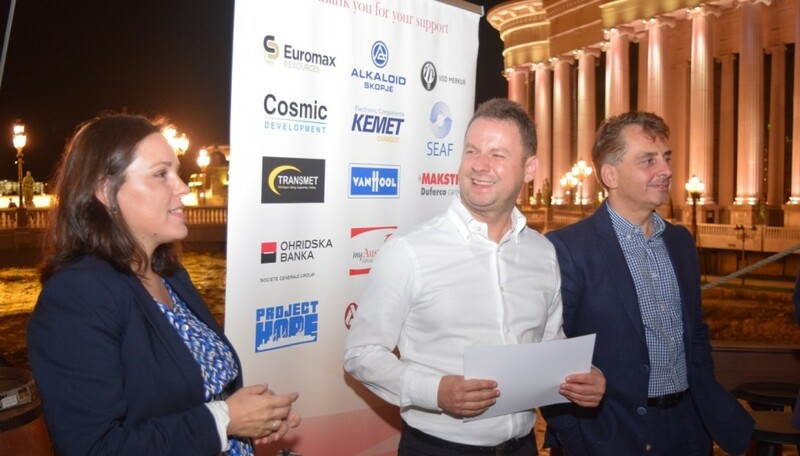 Zhivko Mukaetov, CEO and President of the Board of the leading Macedonian pharmaceutical company Alkaloid AD Skopje and Board Member of Macedonia2025, on August 8 opened the program – Summer internship for young professionals from the Macedonian diaspora. Macedonia2025 organized this program for the first time and it enrolled young professionals of Macedonian origins who come from the United States, Australia, Germany and France, who had the possibility to add to the development of their careers, become better acquainted to the country and explore the opportunities for doing business. Three of the participants attended an internship with Alkaloid, two in the cabinet of the Minister of Foreign Investments Mr. Jerry Naumoff and one in Project Hope. Macedonia2025 organized few extra events which complemented the participants’ experience in Macedonia. 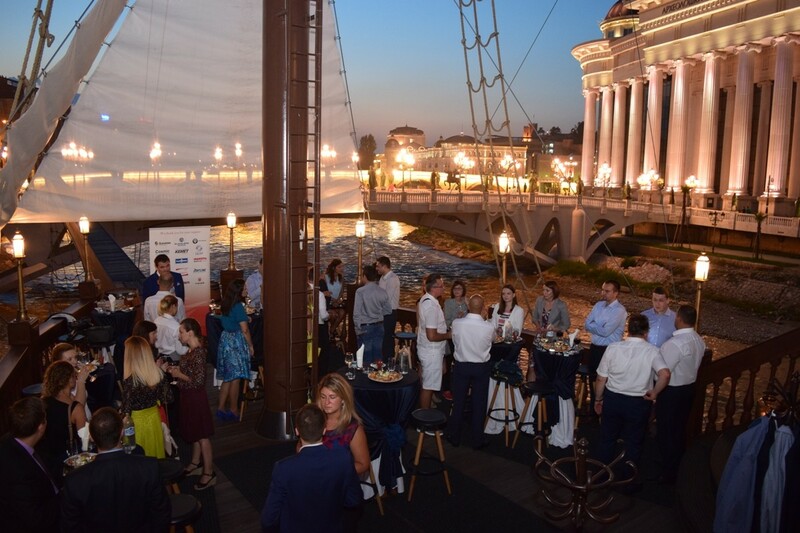 On August 10, we hosted a networking event attended by Macedonia2025 Board Members Zhivko Mukaetov, Zoran Martinovski and Nevenka Dimitrova, as well as the Keynote speaker of the Macedonia2025 Summit, the Vice President of Cognitive Computing at IBM’s Watson Center Mr. Guruduth Banavar. The participants of the summer internship program addressed the audience and shared their impressions from the first few days of the program, as well as their experience in Macedonia. To conclude the program, Macedonia2025 organized a visit to the archaeological site Stobi where the program participants saw the remains of a very important Roman city in Macedonia. 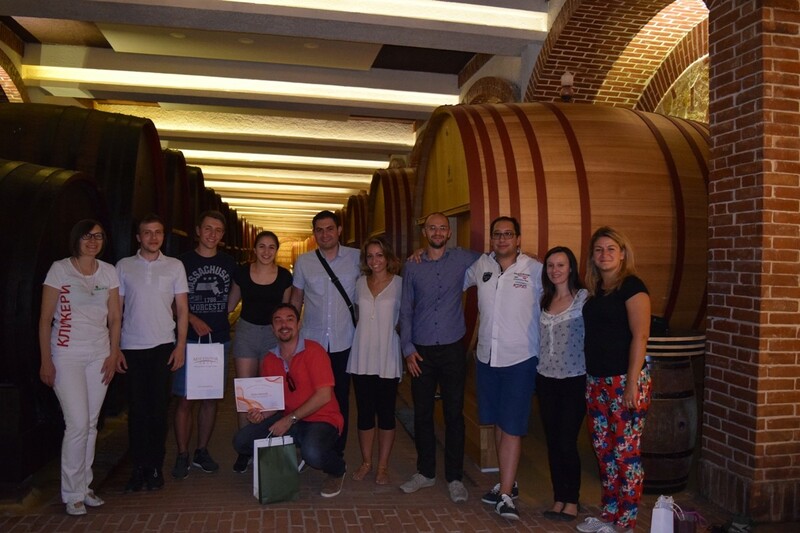 Following the visit of Stobi, the group enjoyed several Macedonian vintages and food specialties at the beautiful cellars of Tikvesh Winery, which proudly sponsors Macedonia2025 events such as last year’s Summit. The visit to Stobi and Tikvesh was also made possible by our Leaders Club member Allan Castillo who provided the shuttle bus service, courtesy of Indbus Macedonia. Macedonia2025 representatives are extremely pleased of the outcome from this program and sincerely hope to be able to increase the number of participants significantly in the years to follow. TO SEE THE GALLERY OF PHOTOS PLEASE CLICK HERE!